Welcome to the SweetStamps.com Sweeties March Release Blog Hop!! Be sure to check out all of our March stamps here. You should have arrived her from the SweetStamps blog! If you haven't and would like to hop with us, please go back to the SweetStamps Blog to start at the beginning!Be sure to follow each blog and leave comments along the way for your chance at winning! Prize information: 1) On the SS Blog, you have a chance at winning any new March stamp set along with a $10 Gift Certificate for the SS store. 2) On the DT Sweetie Blogs, you have a chance at winning a 4x4 stamp from March's Release!!! So there are a few chances for winning!!! So for my card today, I am using St. Patrick's Day PartyI really like this set!!! It just screams PARTY!!! What I love most are the accent stamps that come in the set!! I love creating my own background paper and these small stamps are PERFECT for doing so. I used the 4-leaf clover to create my card, stamping it with Shades Ink: French Roast and coloring it in with my Copic markers. I then embossed the image with Fantasy Gold. Just to add a little more pizazz, I added Shamrock glitter glue to the center of all the clovers. Thanks for stopping by! Your next stop in the hop is Kel's Blog! We hope you are inspired all along the way! Check out all of SweetStamps "SWEET" goodies here! I love your card - that is such a cute idea! The green gems are an awesome touch! 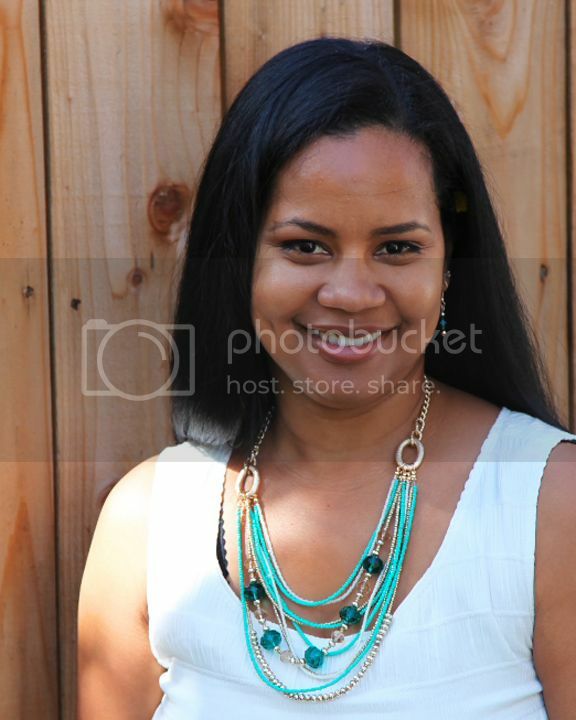 Love all the sparkly green gem adornments! What a great CAS card!! Love how you created the background, and the green glitter glue is PERFECT!! I love the green sparkle on this! Cute card Calypso!! Love the sparkle! Sweet design, I love the sparkle in the shamrocks. HI Calypso - I am loving this background and the colors - you did a fabulous job on the shamrock card - thanks for sharing and for the hop and an opportunity to possibly win a nice prize - have a blessed week! What a clever creation ... simply awesome! Thanks so much for joining in the fun at our Double D ‘Feeling GREEN’ Challenge! We hope you’ll come back often. Lovely card! Thanks so much for playing along at Double D Challenge! Pretty CAS card! Thanks for sharing it with Brown Sugar Challenge! Love your card and the beautiful background with them embossed sentiment. Calypso such a clever St Patrick's day card!! Love the gems!! Love your card. Simple but elegant at the same time! Super cute card! The background and colors look awesome! 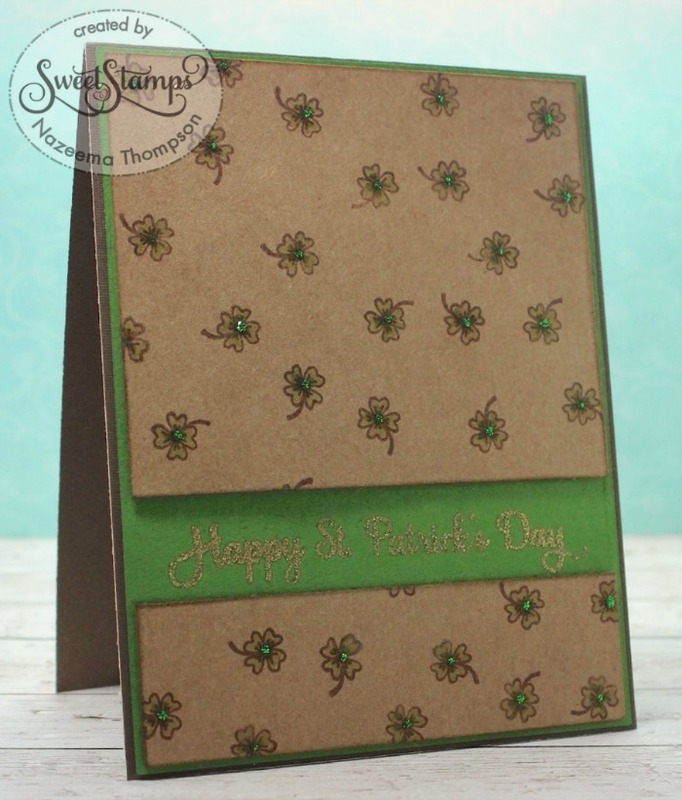 That dot of green glitter on each shamrock really makes the card... Very creative! Love the look of this! Just love the background and bling on this beauty. Thanks for sharing your talent with us at Brown Sugar Challenge. We look forward to seeing you again. Pretty card, great background. Thanks for joining us at Brown Sugar this week for our "Green and Gold " challenge.